Listening to music from the comfort of your home is one thing, but what about if you're in the middle of nowhere? It's not smart to bring expensive (and possibly fragile) speakers meant for home into the great outdoors, so that's why the All-Terrain Sound Speakers were developed — now half off in the TechnoBuffalo Deals Store. 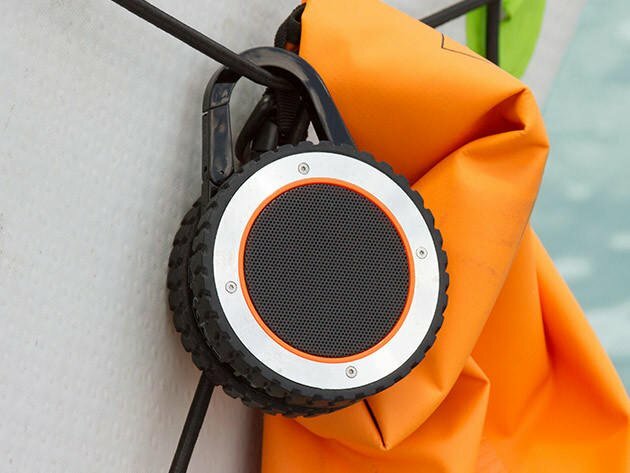 And if you're intent on keeping the adventure at home, you can even adhere the speaker to your shower wall to stream your favorite playlist from your phone without short circuiting it. Ready to get your jam on just about anywhere? Get your hands on these All-Terrain Sound Speakers at just $29.99 — marked down from $59.95 for a limited time only.